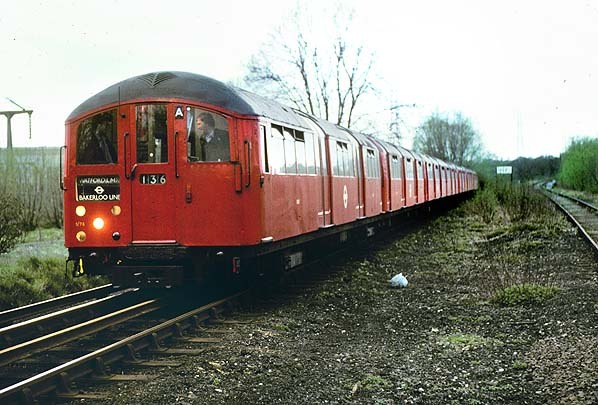 A Bakerloo Line train standing in the siding called the Long Neck west of Croxley Green depot in April 1982. All movements to and from the car sheds ran into and out of this siding. 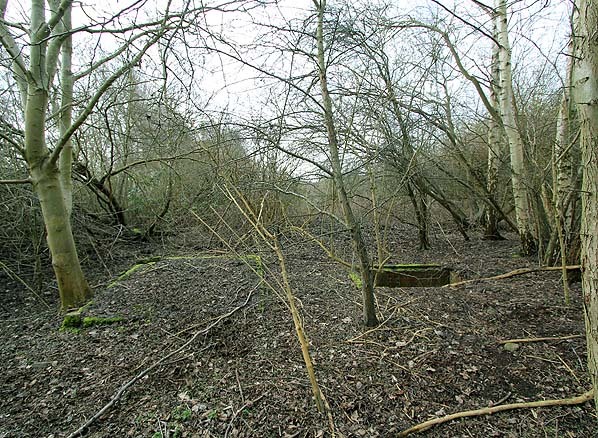 The abandoned Rickmansworth branch is on the right. 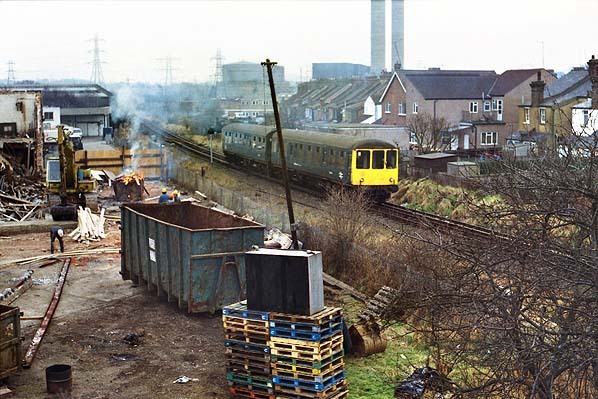 Croxley Green Depot seen from the Croxley Green branch in the 1980s. Croxley Green junction (with Rickmansworth branch) is seen in the centre of the picture. 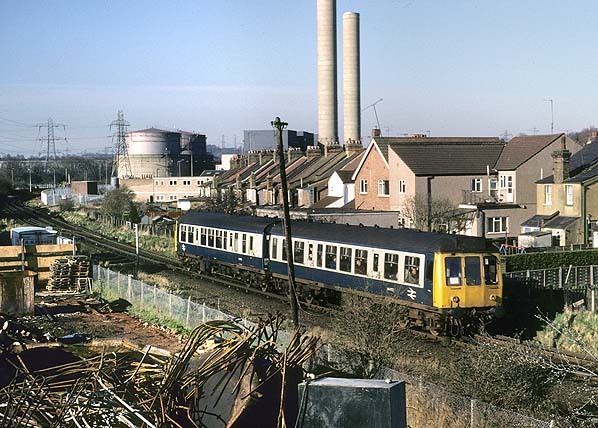 Croxley Green sepot seen from the disused Rickmansworth branch in the 1980s. The depot's ;long neck; siding is seen on tghe right. 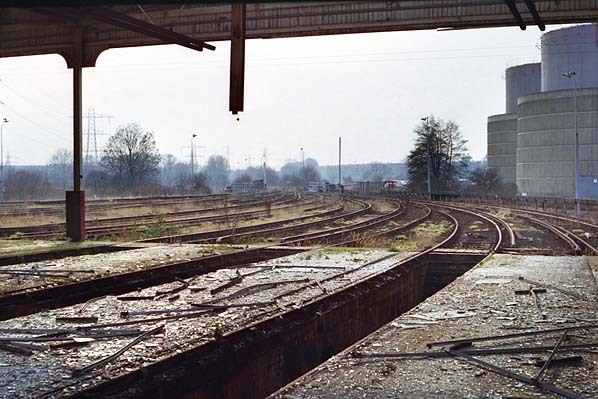 This view from April 1982 shows that the depot could stable two trains in each road seen here in Road 11. The outer one on each road was still in contact with the current rails so did not need to use the trolley leads. 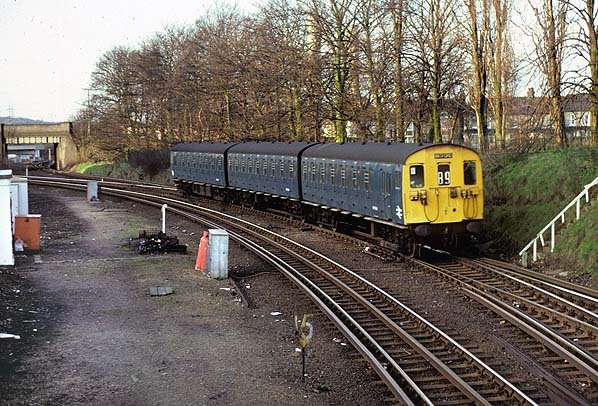 Train from Croxley Green at High Street Junction in March 1982. 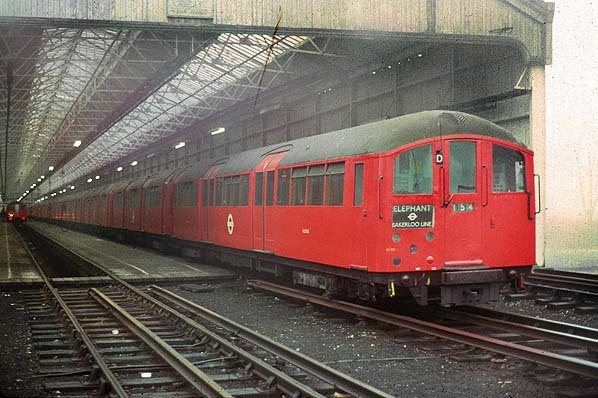 Bakerloo train at High Street Junction coming from the car sheds to Watford Junction to start service on 5 April 1982. 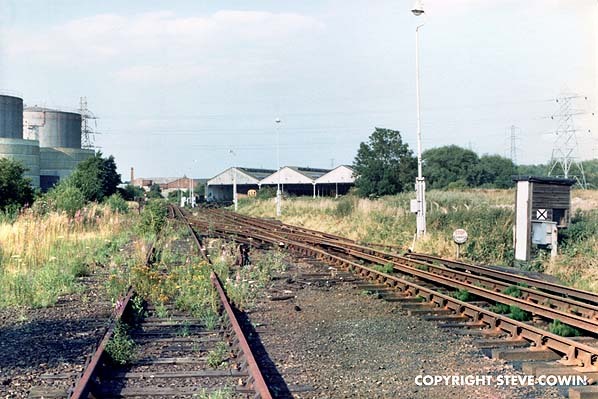 The junction here was formerly a double line junction with double track to Groxley Green Junction. 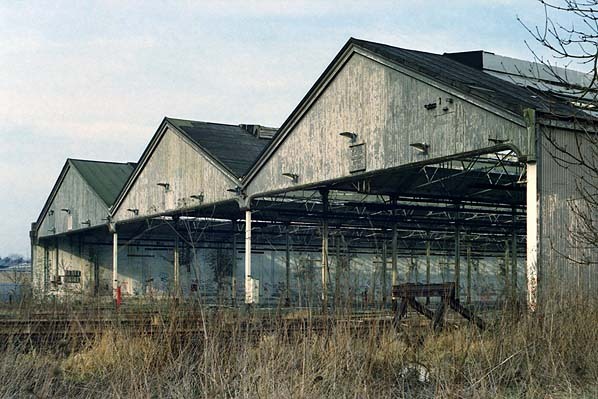 It was converted to single,as seen here, in the 1970s. 10 April 1987. 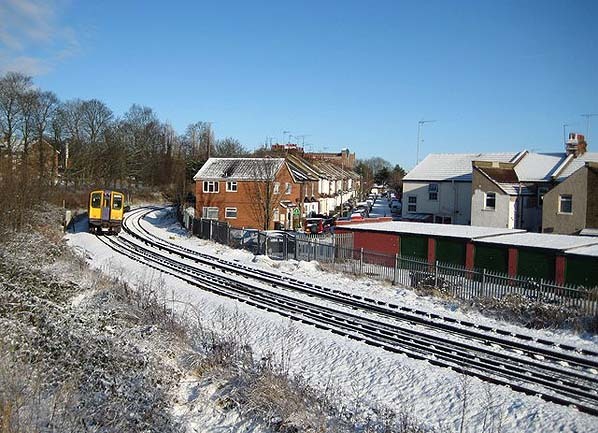 The route to the long neck for Croxley Green Depot diverges to the left behind the train. 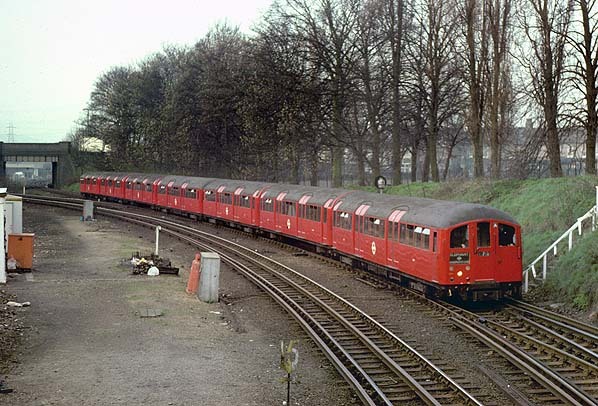 During 1987 and early 1988 DMUs worked the Croxley Green service, possibly due to a shortage of class 313 EMU units. A smillat view with another DMU on a Watford Junction service in June 1987. This line is due to be reinstated as part of the Croxley Rail Link. 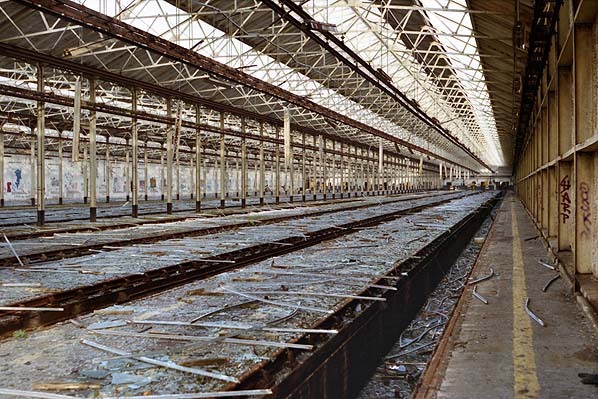 Croxley Green depot in June 1987. The sign above the entrance says 'Steam trains must not enter'. 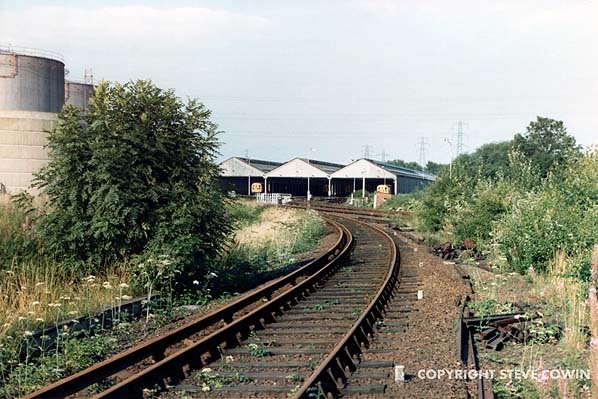 Looking west out of Croxley Green depot in June 1987. BRCW Class 104 SMU passes with the 15.40 Watford Junction-Croxley Green service. Looking west out of Croxley Green depot in June 1987. All the lines converge into the 'long neck' saiding from where there was a connection to the Croxley Green branch. 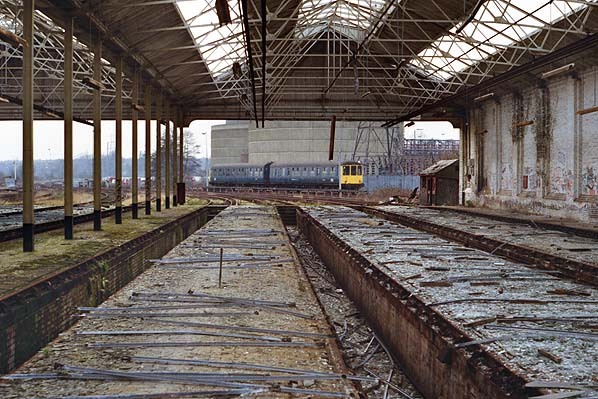 Croxley Green depot in June 1987. Road 12 (nearest) and Road 11, were used for stabling Bakerloo Line stock. A northbound London Overground service approaches High Street junction in December 2009. The base of Croxley Green Junction signal box between the lines at the divergence of the Rickmansworth and Croxley Green lines in February 2013.